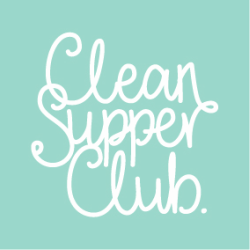 Before we created Clean Supper Club, this was one of our favourite suppers. So it was one of the first to be tweaked to fit our realistic clean eating ways. We use a large non-stick wok /frying pan. Handful of sugar snap peas, sliced in half, length ways. Heat 1 tbsp. of oil, add the garlic, chilli, spring onions, lemon grass & turmeric. If you want to use the colourful chard stalks then add them here. Sauté for a few minutes until everything has softened. Add the sliced peppers, sugar snaps sauté for a few minutes. Pour in the coconut milk & stir. Add the chard leaves, prawns, fish sauce, mirin & lime juice. Bring to a gentle boil & then simmer for a few minutes until raw prawns turn opaque and before precooked ones go hard. 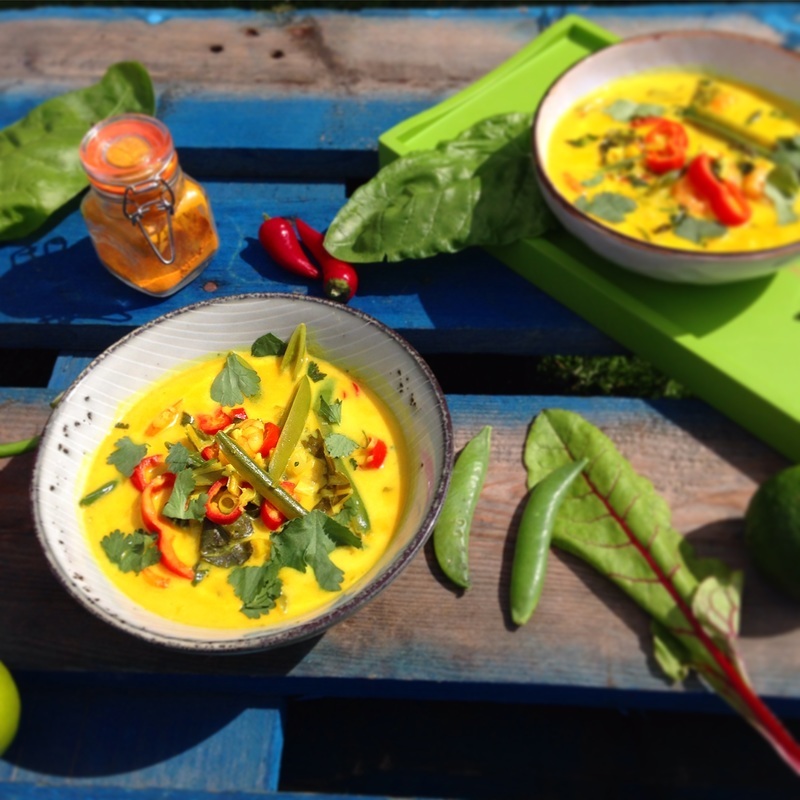 Ladle into bowls & add some extra coriander leaves & fresh chilli.